So, I was full of energy completing one of my NSX 6.3.5 deployments. Everything was straight forward deploying NSX Manager, Controllers, preparing hosts, configuring VXLAN, … etc, until I faced an issue deploying NSX Edges. This was supposed to be an easy task compared to the previous ones, however and from my experience in the field, I have learned not to under estimate any task as there are a lot to learn from each project. 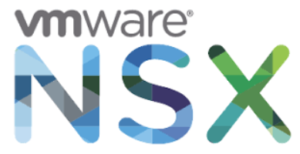 DNS Forward/Reverse Records for NSX Manager, ESXi hosts, and vCenter. ESXi hosts firewall if it was configured to block any connectivity. Edge cluster resources if it was sufficient to accommodate the new VM deployment. After about 2 hours of troubleshooting, I decided to check all the ports needed by NSX to operate between components. These are clearly available at this VMware KB article https://kb.vmware.com/s/article/2079386. It seemed that the security team cleaned and refined some ACL rules on their physical firewall and unfortunately deleted the rule to open TCP port 902 from NSX manager to ESXi servers in the Edge cluster. After the port was opened again, I was able to deploy ESG edges without any issue. If the NSX manager and the ESXi management interfaces are on different VLANs, this means that the traffic will be through a layer 3 device between these two VLANs. These ports should be opened on the firewall securing the traffic between these VLANs.